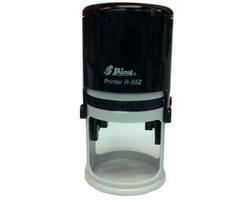 Providing you the best range of invisible stamp and uv ink with effective & timely delivery. Invisible UV ink allows you to stamp "secret Matters" such as a code or other details. This stamp is useful in maintaining the security of valued documents. It protects your highly important documents from being forged. The content can only be read with the help of UV light source or black light source. It is used by insurance companies, banks and financial instituitions.